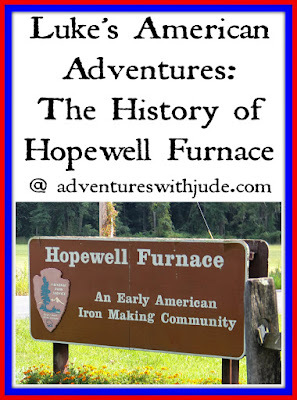 Hopewell Furnace is an iron plantation built in present-day Everson, Pennsylvania by ironmaster Mark Bird over 200 years ago to smelt iron ore and limestone into iron products. These included munitions, horseshoes, stove plates, and iron “pigs.” Bird chose to build his plantation in this far suburb of Philadelphia because it was convenient to iron mines and still only three days by wagon train to Philadelphia. Bird sold it to investors after the Contintental Army could not pay him for the supplies he sold them during the American Revolution, and it ultimately was abandoned in 1883 because it could not compete with larger factories, the Civilian Conservation Corps restored this national treasure in 1938. The National Park Service currently maintains and operates this National Historic Site. 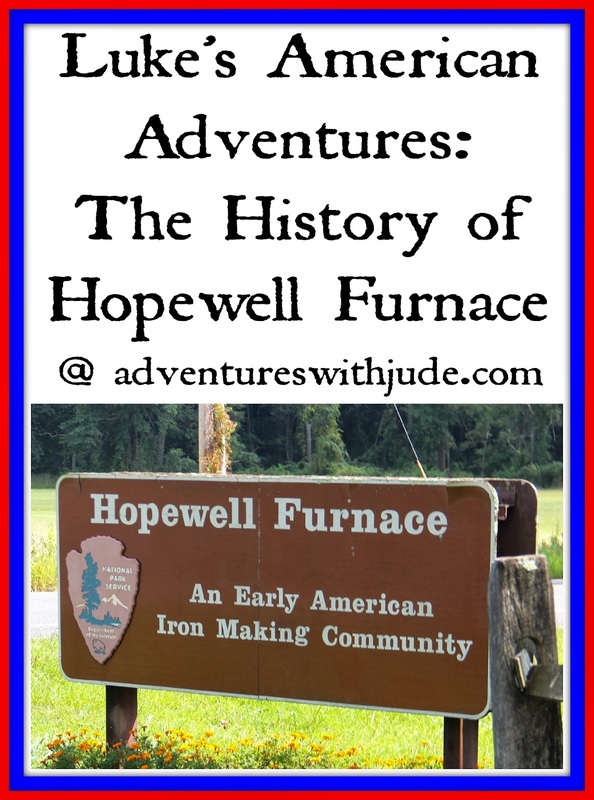 Hopewell Furnace provided employment for both skilled and unskilled workers. Some of the specialized jobs were colliers, blacksmiths and moulders. Colliers built and maintained the charcoal making pits that provided the fuel that fired the furnace itself. Blacksmiths and their apprentices made and mended the tools used by other workers, as well as the horseshoes that the wagon and other horses needed. Moulders, who made the moulds for the final iron products, were the most skilled workers on the plantation. Without their skill, there would be no product to sell. Out of all the jobs at Hopewell, the moulders were the best paid, but the moulder himself was only credited for a perfect cast. John Sheeler, the highest paid worker at Hopewell in 1836,earned $434.83 for producing enough cast iron stove plates to make 352 1/2 stoves. This is equal to an annual wage of over $12,000 in today’s currency values; for comparison’s sake, at the time beef cost only five cents per pound. The stove plates produced at Hopewell became world famous for their design and quality. In 1822, Joseph Bonaparte, the onetime King of Naples and Sicily and King of Spain, specifically ordered a Hopewell stove because of its flawlessness. became The company clerk kept track of all mercantile accounting. 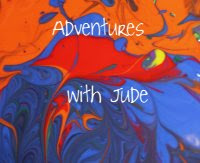 He was in charge of balancing the sales ledgers, as well as those for payroll. Workers were rarely paid in cash. Their wages were credited to them in the ledger, and they would use the money at the Company Store to pay for food, household items, or even their house rent. However, if an employee needed cash, he could draw on his account. Road through Hopewell Furnace showing direction. of approximately 60 miles to Philadelphia. 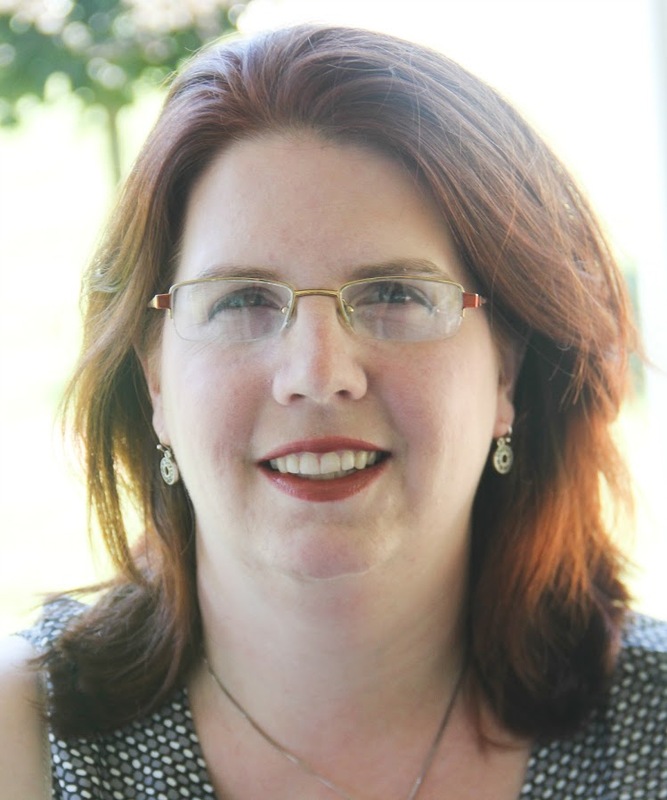 Because Hopewell was so far away from Philadelphia, it needed to be self-sufficient. Therefore, less skilled workers were equally important to help run the Plantation. Some of these workers cared for the livestock. The women of the plantation were as essential to its success as the men. Women cooked for the men, took care of the gardens and preserved the food for winter, and sewed for the plantation to ensure everyone had the proper clothes for their jobs. 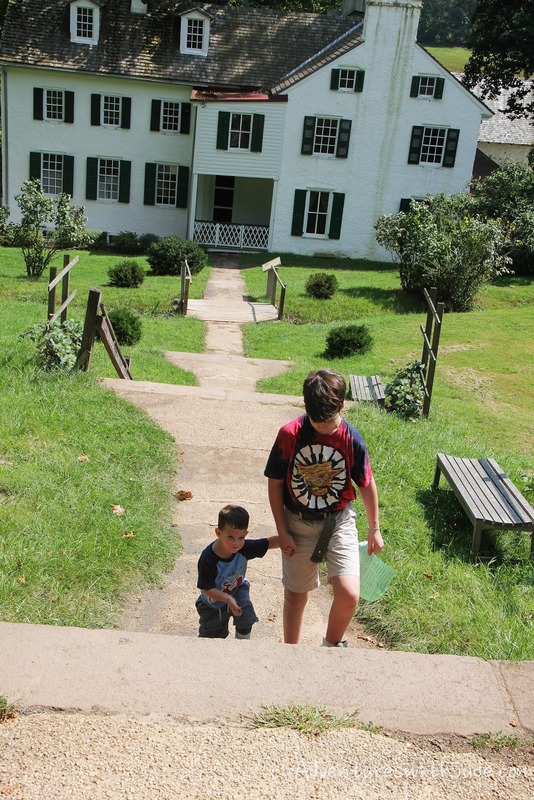 Visitors to the plantation were met with hospitality, and upon arrival, all were welcomed to remain there overnight before beginning their journey home. Hopewell’s Furnace was unique. Instead of having a traditional column chimney that was fed from the bottom, workers fed charcoal, limestone, and iron ore into it from the top. The furnace would flare out into a diamond shape, widest at the center. Here temperatures would reach as much as 3000*F. The molten iron would drip down from the wide part of the stack to the crucible, where the gutterman would tap the furnace so the iron could flow out to be molded. In addition to the solid materials fed from the top, oxygen was needed to feed the fire. A huge water wheel worked the bellows that provided the air. When tapped, the iron would be poured into molds. The first molds filled were the ones that made “iron pigs” -- bars of iron named for the mold that resembled a nursing sow and her piglets. These bars were shipped to other forges and blacksmiths to be used in making wrought iron products. Then iron was then poured off and cast into molds, most notably for stoveplate molds. The furnace ran nonstop unless it needed repairs, and was tapped twice daily. The plantation tried to use innovative ways to produce more product, but found that the “old way” was the most successful. They tried to use large brick charcoal ovens instead of traditional collier hearths; then they tried using anthracite coal to fire an iron furnace. Both were greater expenses than returns. After the Civil War, charcoal became less needed due to the greater availability of mineral coal, such as anthracite. Northeastern Pennsylvania was a great source of anthracite coal. 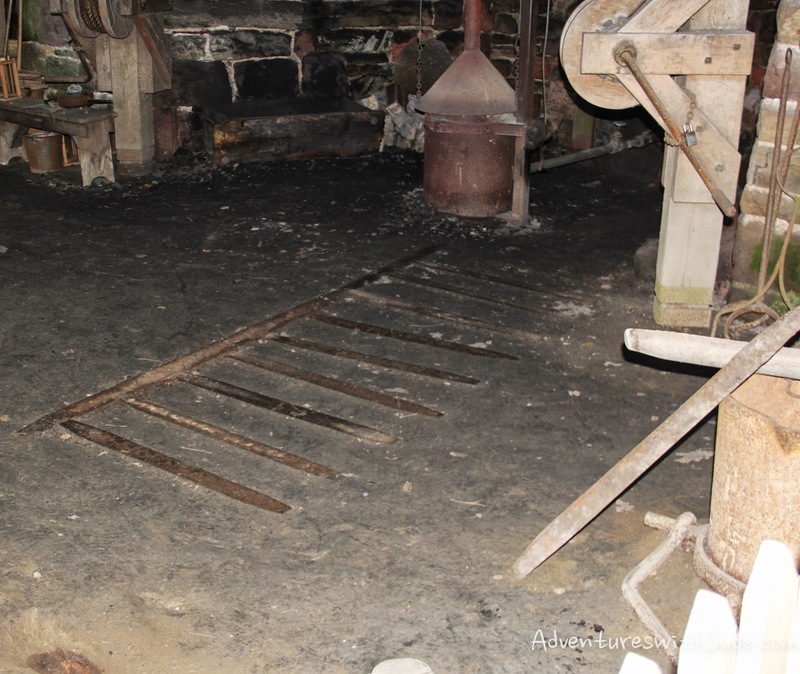 Hopewell Furnace built a second furnace that used anthracite coal instead of charcoal. However, it was unsuccessful because it cost more to transport the mined coal than to make charcoal, and it too was abandoned. When Bird established the plantation, he held the largest number of slaves in Berks county - 18 in all. Eventually, these slaves became emancipated and stayed on as workers. Hopewell became an important player in the Underground Railroad. Runaway slaves would escape over the nearby Pennsylvania-Maryland border into the hills surrounding Hopewell and stop at Scarlett’s Mill, owned by Quakers. These fugitives became anonymous woodcutters, colliers, and teamsters. Anonymity protected them from the law, however we know that one escaped slave, Isaac Cole, became a landowner. After President Lincoln’s Emancipation Proclamation in 1863, many former slaves became workers at Hopewell. These black men and women worked side by side with the white workers. During the Great Depression, President Franklin D. Roosevelt created the Civilian Conservation Corps as a way to give jobs to unemployed men. The CCC’s purpose was to promote environmental conservation and to build good citizens through vigorous, disciplined outdoor labor. Although blacks were permitted to join the CCC, the majority of those accepted were white, and the few blacks involved were segregated from them. In addition, women were banned from joining the CCC. Although it meant Hopewell Furnace was preserved for future generations, it was unfortunate and complete reversal of the tenor of the plantation in its former glory. 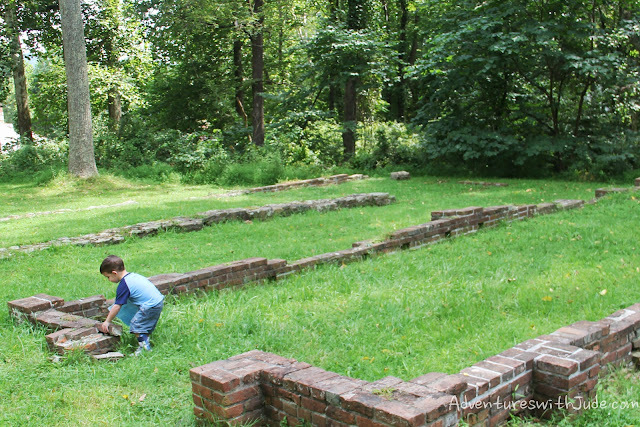 Hopewell Furnace National Historic Site is one of many ironmaking plantations that dotted the southeastern Pennsylvania countryside during the late 18th century. 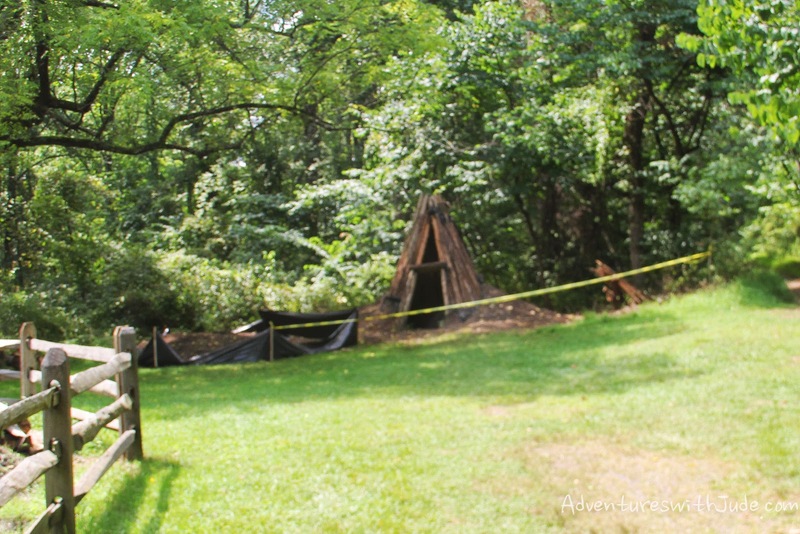 However, it is the only one that has been restored and is maintained by the National Park Service. 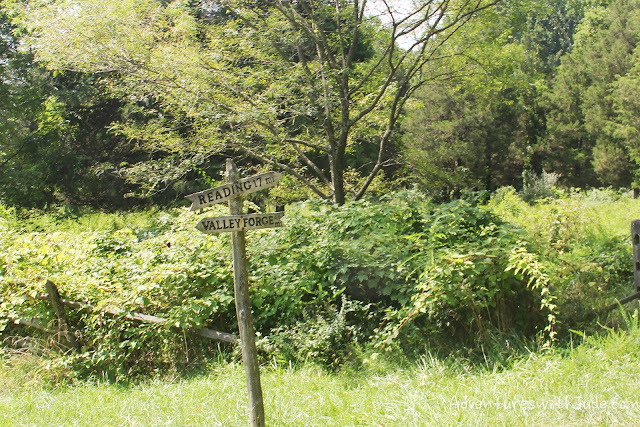 In the 1700s, Mark Bird left his father’s iron plantation to build his own. It supplied munitions and other supplies to the Continental Army, including horseshoes and rations for General Washington’s regiments wintering at nearby Valley Forge. When the young United States government could not pay their debt to Bird, he was forced into bankruptcy and sold the plantation. During peacetime it became known for its iron stoveplates, and again made munitions for the Civil War. During the Reconstruction Era, owners again found itself sliding into bankruptcy because of industrial competition. The forge’s final blast was in 1883. In 1938, the Civilian Conservation Corps restored much of the plantation. It is currently maintained by the United States Department of the Interior/National Parks Service. 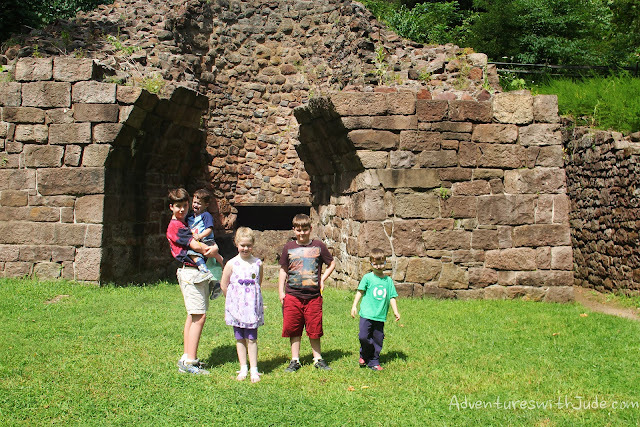 I highly recommend visiting Hopewell Furnace NHS. 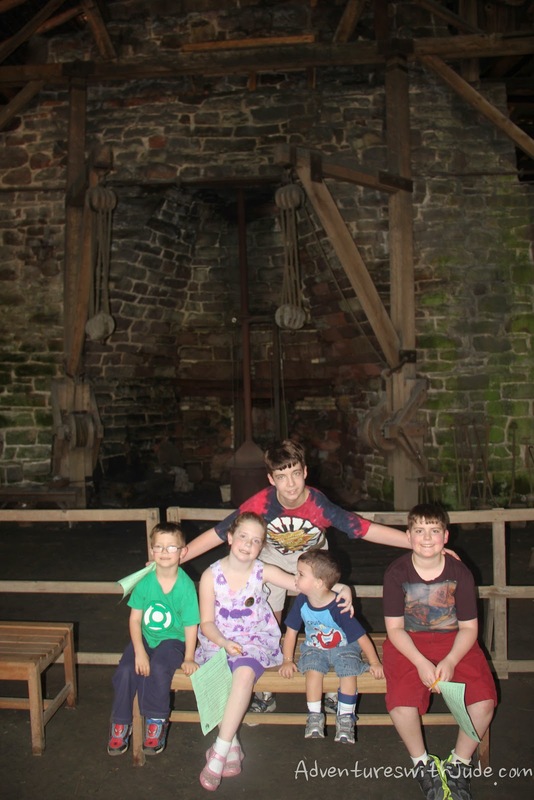 You can read about my family’s visit and how we became Junior National Park Rangers at Adventures with Jude: Our Visit to Hopewell Furnace, or you can plan your own trip at using the Park’s website, Hopewell Furnace National Historic Site.